As we approach Valentine’s Day, the day that every single girl dreads. Having just got through Christmas and New Year with no kiss under the mistletoe here we are stumbling over roses and ribbons and the endless cards as we go to get our meal for one from the supermarke. What is all the fuss about? It is the one day of the year where traditionally we let our other half know how much in love we are and hopefully in return we get it back. But for the majority who are single, how will they find a potential partner? Internet dating has become a powerful tool over the last ten years and statistically over the next 20 years it is forecast that most will meet their new partner this way. With a click of a button you can immediately start creating your profile and start searching for that imaginary perfect partner. For those that have busy work schedules and not meeting anyone in their own social circles. The internet can seem an ideal place to start making new “friendships” however, many don’t realise that it is very time consuming scrolling through the profiles trying to find a rapport with someone. The vast array of people, personalities and stereotypes, the men and woman that live alone and have no outside contact in the evenings, their kids have all left home, their friends are either married or in a relationship so they get home from work put on their slippers pour out the wine and start pouring out their hearts to strangers. And hey presto instant contact and gratification naturally, in there you will also find the married ones, or the ones that are in a relationship and bored with their lot, using the internet as escapism a bit of fun. I strongly believe that many go into relationships with no compatibility at all the only thing that they do have in common is they are “single”, available and want company so they manufacture a ready-made relationship, ignoring the flaws and red flags in their desperation to be with someone. Many have recently come out of long term relationships and want their ego boosted, to be honest you also have to have nerves of steel as some people can be so cruel and if your self-esteem is a bit low the internet is not a nice place to be. However, if you approach internet dating with the correct mind set you can achieve success. (That does not include marriage) it means DATES, and not just endless streams of emails and a chat. Women in particular are very intense with their requirements their ideal mate has to have a decent job, nice car, home and look like Adonis, this is where they go wrong foolishly not looking for character and integrity, instead looking at his shoes or his badly ironed shirt!! Come on girls let’s get back to traditional dating ask your work colleagues if they have any eligible brothers, cousins neighbours, networking. Once we tune into traditional ways of dating it will flow, matchmaking at its best is when you are introduced by someone you know. These have a higher rate for success. 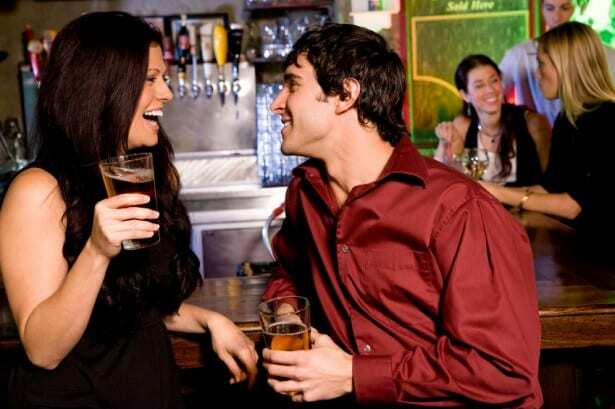 Have you tried speed dating? When you arrive, you will find a friendly Host, who will register you for the event and give you a scorecard, a name badge and a pencil. You are then invited to join other guests at the bar to chat before the event starts and have a drink. Then the dating begins. Usually women will stay seated while men will rotate every 3-4 minutes when the bell rings. After each date participants mark on a scorecard whether they would like to see that person again. At the end of the evening many people stay around to chat to the people they’ve just met. It’s great for those that are looking for ways to increase their social circles, these events are held in Milton Keynes a couple of times a month. Whatever avenue you choose in finding a potential partner be sure to follow your instincts, if you have recently come out of a relationship be sure to keep away from any emotional entanglement for the time being, give yourself time to grieve.V day is on a Friday this year getting together with a group of your girlfriends and celebrate being single…. Teresa is a familiar face within the dating industry having worked for a national dating agency, a successful matchmaker, a regular guest on BBC radio, writing dating columns and now a host for a speed dating company. So if you have any dating experiences or dating dilemma’s you can contact her via Twitter.